To brighten up the month of February, the Library creates a “Blind Date with a Book” display. Each book on the display will be gift-wrapped, encouraging borrowers to take the plunge with a tall, dark, (or short, squat), and mysterious stranger. Students and other members of the Brandeis community will be able to check out a book beginning Monday, Feb. 11. Just imagine, no long awkward pauses, no worries about splitting the check. 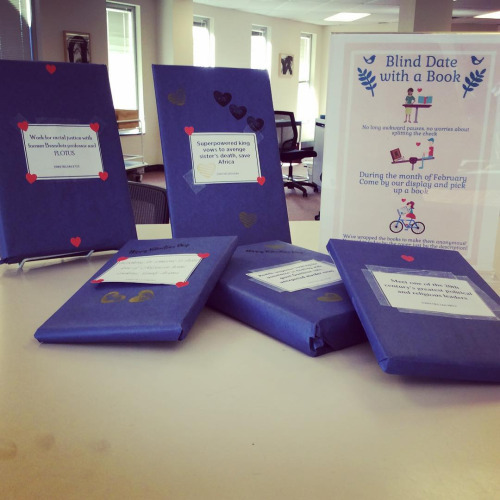 Come get a Blind Date With A Book at the Info & Borrowing Desk and you won’t have to judge by the cover!